Rengarenga or rock lily (Arthropodium cirratum) was one of the first New Zealand plants to be grown in Great Britain. 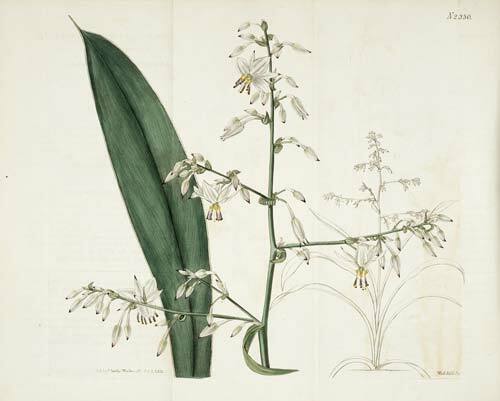 This specimen, illustrated in the 1822 edition of Curtis’s Botanical magazine, was grown from seed and raised indoors as a greenhouse plant in Fulham Nursery, London. In New Zealand the plant grows close to the coast, on rocky sites. In gardens it is popular as a quick-growing ground cover.